The big and versatile Vauxhall Movano range combines class-leading payload capability with excellent driver comfort to create the ultimate commercial van. As well as a range of fuel efficient 2.3CDTi engines, each of the vans in the Movano range includes a new and improved safety specification. 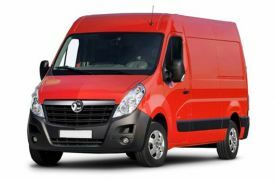 With so many size options also available, there really is no job too big for the Vauxhall Movano. Vans in the Vauxhall Movano range are available to buy now for affordable prices from UK Vans Direct. The complete selection of Movano vans includes four vehicle lengths and three roof heights with a range of Gross Vehicle Weights between 2800 and 4500kg. In addition to these size options, there are Rear Wheel and Front Wheel drive-train options for many of the models as well as a variety of different engine power performances. The load space dimensions available range from 2583mm and 4383mmm long, all with a rear door aperture width of 1577mm. The load space volumes (depending on van length and roof height) range between a minimum of 7.8 cubic metres and a maximum of 17.0 cubic metres. All of the Vauxhall Movano vans use a 2.3-litre CDTi diesel engine, with six different varieties of performance power to choose from. The options include two Turbo versions producing either 110 or 130 horsepower, and four Bi-Turbo engines with the most powerful producing 170 horsepower. All of the 2.3 CDTi engines meet the Euro 6 emissions standard through the use of Vauxhall’s own ‘BlueInjection’ technology. 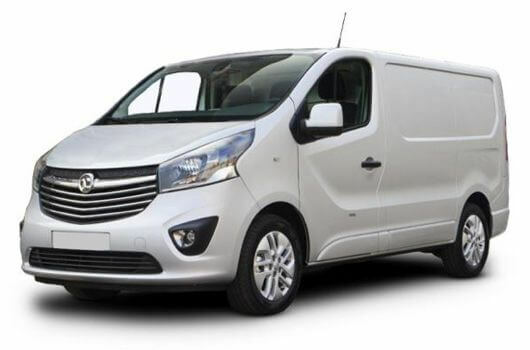 Vauxhall Movano vans are available now from UK Vans Direct with prices starting from £17,195.00 plus VAT and Road Fund Licence. There are also attractive hire purchase options available starting from £287.73 per month. Delivery of the van is free of charge. For more information about these big and versatile Vauxhall Movano vans, call our team of Vauxhall van experts on 01709 717200.